The rise of IoT requires that we consider several fundamental issues pertaining to performance and management. The Internet of Things (IoT) is one of those next-generation technology concepts that for a long time seemed just over the hill: everybody talked about it but it wasn't quite here. I think it's time to reconsider, because IoT is not only here, it's growing fast. In 2014, Gartner predicted that by 2020 there would be 25 billion connected devices. Cisco predicted that number would be closer to 50 billion, and Morgan Stanley thinks 75 billion. Before going further, we should agree on exactly what IoT means. More than once, I've heard someone use the idea, sometimes half jokingly, of a refrigerator connected to the Internet as the canonical prediction of inevitable network progress. Well, guess what - they already exist. 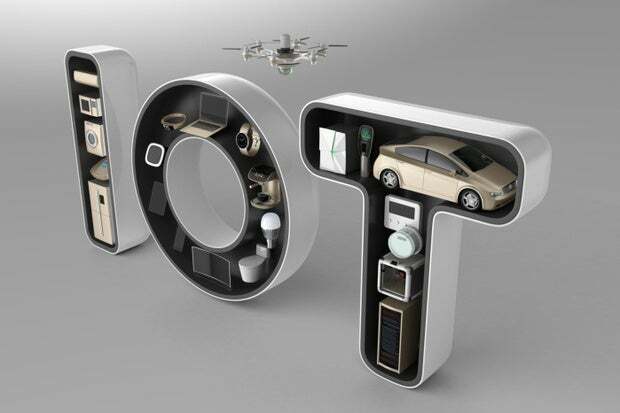 The IoT concept simply applies to devices connected and networked together through the Internet. Sometimes IoT devices are everyday devices that become Internet-enabled, and sometimes they are completely new devices that only make sense in a connected environment. All of this is enabled by more and more computing power in smaller and smaller packages and near-ubiquitous wireless Internet. 1. How are devices named and organized? How will we name all these devices? Will vendors adopt proprietary naming schemes that impair interoperability? From my vantage point, there's no reason not to use the venerable Domain Name System (DNS), which is just as well-suited to naming refrigerators as it is Linux servers. Using DNS means not having to create a new name space for naming devices or creating new protocols to resolve those names, and we can rely on years of industry experience and expertise. 2. How do devices communicate with each other? The issue of naming evokes an even more important question: will devices even offer services that would require contacting them in the first place? A common model now requires devices to be clients that rely on the manufacturer's cloud-based servers to function. For example, my Internet-enabled thermostat and the app on my phone that controls it don't communicate directly, peer to peer. Instead, each communicates independently with the cloud and rendezvous there. In other words, my thermostat doesn't need a name because it offers no services -- it's a client and only needs to know how to phone home to the cloud. 3. How are devices tracked and monitored? The commercial applications of IoT are both wide and deep. Obviously IoT is more than just devices at rest; there are also wearables, implants, cars, and flying devices like drones. Virtually every machine that operates in every market and sector can be connected to the Internet. How do we track these devices, ensuring these billions of “things” are up? What will be best practices for monitoring for hijacks or outages? There are also privacy issues around tracking and monitoring that will likely dominate the discussion as these technologies proliferate. 4. How is performance measured and optimized? Not only is the number of connected devices growing, but also the amount of data that they send. An article in Telematics Wire predicts that by 2017, four out of five cars will have an Internet connection and send 25 GB of data to the cloud per hour. (Any network engineer will tell you that data transferred eventually expands to fill all capacity.) These devices will become an increasing stress on the network. How will companies and consumers ensure they're getting the best performance? How will device makers ensure the performance of their devices is optimized? 5. How is security and privacy safeguarded across billions of connected things? Every device that uses electricity gathering data and connected to the Internet -- what could go wrong? The security and privacy issues surrounding IoT are so immense that they're almost overwhelming. This topic is huge, but one aspect to highlight relates to the monitoring theme of the previous items -- at a minimum, we need to know when a security incident is occurring. Big data tools can help here to alert when attacks are potentially happening or are in progress. We also need monitoring systems to ensure threats are addressed in real time. What will these tools and systems look like, and who can step up to help fill this demand? 6. How will these devices be maintained? Maintanence is a critical issue to understand as billions of new devices flood the Internet. We all know that unmaintained computers spew all manner of stuff onto the Internet, and most of those have an operating system that is maintained by someone. In contrast, many IoT vendors have already gone out of business, and their devices may well be full of bugs that nobody will ever be able to fix. What does that do to the Internet's ability to deal with malicious actors? And how will performance and optimization issues across the Internet be identified and resolved in such a robust and fast-changing environment? The number of devices connected to the Internet will only increase faster as more and more objects become Internet-enabled. Let's be sure we think about some of these fundamental issues now before a billion refrigerators start telling us to buy milk on the way home. Matt Larson is the Chief Technology Officer at Internet Performance company Dyn. In addition to working at Dyn, Matt is an active participant in the Internet standards community, helping shape policy and procedures to build the future of the web.